A man enjoys the quietness of the street of Chinatown in Vancouver, BC before the stores open and the crowds materialize. Chinatown is considered to be the second largest in North America where hundreds of tourists flock to when they visit Vancouver, BC. 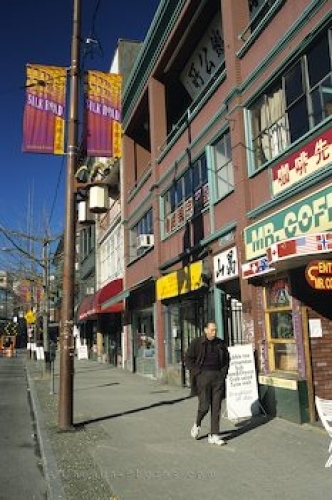 Picture of some shops in Chinatown, Vancouver in BC.